Jim Carroll is a frequent keynote speaker at major events and conferences, dinner awards presentations and PR launch events. And the bottom line about Jim is simple — he is funny, unique, and full of fascinating, quirky, yet serious insight. Jim has a passion for effecting compelling change with lasting results. As a frequent keynote speaker with some 1,000 high profile presentations to his credit over the last 10 years, he is recognized as someone who provides presentations that deliver relevant, unique insight. Jim is recognized worldwide for presentations that involve his signature humor, high-level energy, deep insight and challenging observations, and which are based on extensive research and customization. Jim has presented to tens of thousands of people in audiences in London, Dallas, Stockholm, New York, Los Angeles, Montreal, Budapest, Costa Rica, Palm Springs, Nassau and Vancouver — to name but a few. His clients include DaimlerChrysler, the US Army Corps of Engineers, Caterpillar, Nestle, Motorola, the British Broadcasting Corporation, Playtex, the American Academy of Ophthalmologists, Verizon, KPMG, American Express, the US Department of Defense, CBS/Infinity Broadcasting, Microsoft, SAP, and many more. He is also a prolific author, media commentator and award winning columnist. His latest book is entitled, „What I Learned From Frogs In Texas: Saving Your Skin Through Forward-Thinking Innovation.” As a media commentator, he has provided his insight in over 3,000 interviews on radio, television and in print, with organizations such as the ABC News, CNN, the South China Morning Post (Hong Kong), INC, CEO Magazine Hungary, Texas Meetings & Events, American Way Magazine, Meeting News, Association LEADERSHIP, the National Post and PROFIT. As a columnist, he has written over 600 articles for a wide variety of national and international publications. 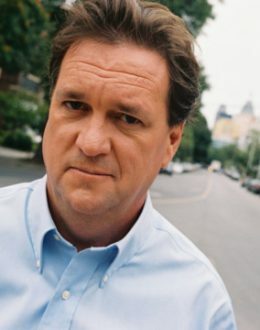 He is an award winning columnist, has been listed as — One of 50 International Names to Know” by the Online Journalism Review published by the Annenberg School for Communication at the University of Southern California, and was recently honored with the Lifetime Achievement Award by a major national new media organization. Jim Carroll lives five years in the future, and dedicates his time to helping people and organizations understand how they can aggressively adopt tomorrow, today. Jim wakes people up to the trends that will affect them, and challenges them to cope with a world that continues to witness constant, relentless, and dramatic change. As a frequent keynote speaker with some 1,000 high profile presentations to his credit over the last 10 years, he is recognized as someone who provides presentations that deliver relevant, unique insight.